You’ve taken the plunge. Gone through your closets, pared down your living room, minimized your excess stuff. Minimalism suits you and it’s how you like living. But what if your friends haven’t stepped aboard the “less is more” train? 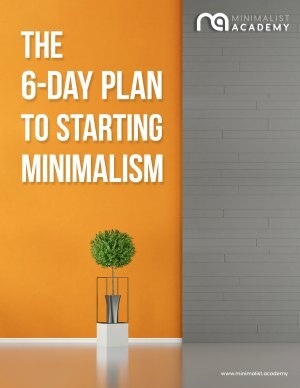 Here are some thoughts and suggestions, simple things to help you talk about minimalism, and deal with possible criticisms. We’ll also point out some of the benefits of having differences among friends, and the importance of living by example. You might not have to say anything. When friends come to visit after the “great purge” it might be pretty obvious that something has changed. While you could just go about the evening like it’s no big deal, there’s a good chance you friends will want to talk about the elephant (or the elephant-sized lack of stuff) in the room. Talking to your friends about your lifestyle choice not only opens up lines of communication and satisfies their curiosity, it’s a chance for you to talk about the choices you made. You’ll put your minimalist lifestyle into words and probably solidify it for yourself. This is your chance to extol the benefits of minimalism, sing its praises, explain how it’s helped you feel better about yourself, your stuff and your home. Then, stop talking. Let your friends know you’re open to any questions they may have. Answer their questions as honestly as you can. Remember that minimalism might be a totally foreign idea for some people. Their questions are most likely not criticisms. If nobody has any further questions, you’re now free to go about your night as planned. Remember, you are more than your lifestyle choice. 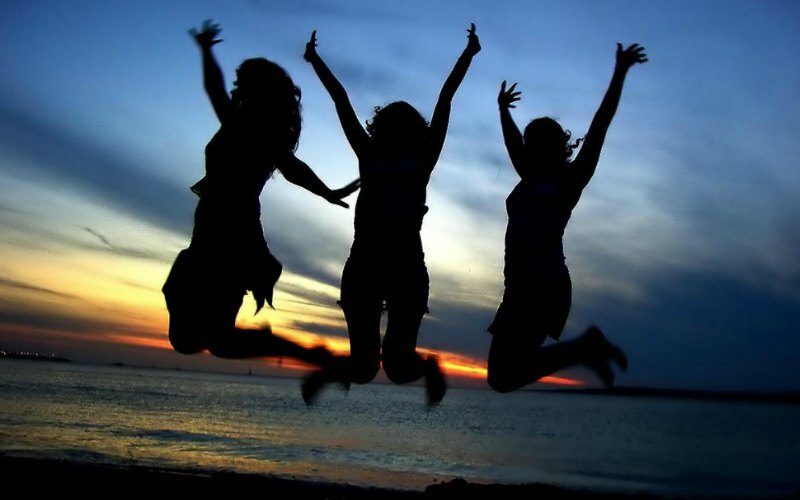 Your friends are probably happy that you’ve found something that makes you feel good. But they probably came over to hang out with you, not your new lifestyle choice. So enjoy. If you’ve got a friend or two who can’t seem to wrap their heads around your decision to go minimal, it’s possible they see your minimalism as a critique of their lifestyle choices. After all, as a culture we are all encouraged to buy, acquire and accumulate. Seeing someone who has rejected that can feel like a judgement. The first way to deal with friends who seem off-put is to open up the dialogue. Like we mentioned above, encourage questions from your friends. Honestly answer the questions. Explain that minimalism is a way you’ve found that helps you better yourself. Most people realize that’s what we’re all trying to do: better ourselves and our lives. MInimalism just happens to be the way you decided to better yourself. While minimalism is great (we sure think so) and may make you want to shout your love of it from the rooftops, resist. While you may think everyone should try living minimal, telling people they need to do a purge will often be seen as a judgement. Not everyone is ready. As you’ll recall, there was a time before you discovered minimalism. People have to come to it on their own. It’s better to practice your minimalism to the best of your abilities and when people come around to asking you about it, that’s when you should feel free to gush. It’s possible you’ll have someone in your life that really doesn’t warm to minimalism. And that’s fine. There’s probably no need to end a friendship just because one of you is a minimalist and one of you isn’t. Just as people with different political views manage to stay friends, people with different lifestyle choices can still enjoy one another’s company. Truth is, there are lots of things to talk about outside of your perfectly curated closet and super easy to clean house. Your work, your creative pursuits. Books you want to read. Movies you want to see. Vacations you want to take. You’ll find other things to talk about. Even if your friend and you used to shop together as an activity, it’s just a matter of finding a new activity. Walks, movies, cooking dinner, are all great ideas. After all, doing things (instead of acquiring things) is a big part of minimalism. In an ideal world, all of your friends will see the ease and freedom you feel by being minimalist and magically all of them will ask you a ton of questions and by next week will be hauling bags of clothes to the donation center. You can probably guess that’s not going to happen. At least not all at once. As you continue to be minimalist, you’ll encounter, spend time with, and be friends with non-minimalists. And that’s perfectly ok. In fact it’s good. Just like an extrovert needs a quieter, calmer friend to balance him out, two people on different sides of the minimalist lifestyle coin will benefit each other. Your lifestyle choices may influence your friend to buy a bit less stuff and your friend’s “normal” relationship to stuff will help you reflect and explore your feelings toward minimalism more fully. In the end, it’s not the tidiness of her bathroom or the simplicity of her kitchen that makes someone a good friend. Trustworthiness, dependability, adaptability, these are the things that matter in a friendship. If you and a friend differ in views about minimalism, it won’t really matter if there’s enough of the other stuff to hold you together. A friend can encourage you, inspire you, push you. While not all of your friends are likely to be minimalist, having one or two minimalist friends around will help you stick with your decision to go minimal and even inspire you to go further. If living by example doesn’t convince anyone you know to try out the concept of having a fuller life with less stuff, go on the hunt. Facebook groups and MeetUps for minimalists are forming all around the world. Find one in your area and enjoy hanging out with people who love the words purge, pare and simplify. People who have made the switch to a minimal lifestyle and understand why you love it so much. Eventually you’ll land at a good place. A place where your friends who are not minimalist understand and respect your choices. You may even make a few new friends who are minimalist too. And who knows, you might convert somebody. The goal is to live your life as you see fit. A way that benefits you and makes you happy. If minimalism is the route you take, most of your friends are going to be very proud of you. While you generally can’t join them on big shopping dates, you can always meet them afterwards for a simple cup of tea.